The Walking Dead's Original 6 Survivors picture. . Wallpaper and background images in the Walking Dead club tagged: photo the walking dead season 6 survivors carol morgan daryl carl rick glenn. 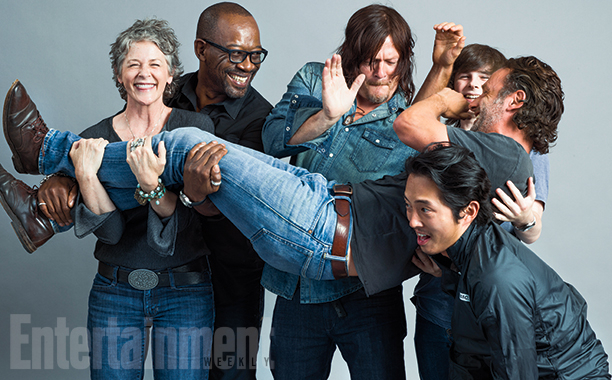 This Walking Dead photo contains pantalons longs, des pantalons longs, and pantalon long. There might also be pantleg, pantalon, signe, affiche, texte, tableau noir, tableau, affiches, hip boot, and thigh boot.